Shoppers at Dundrum Town Centre in Dublin. AT THE BEGINNING of October, Transport Minister Leo Varadkar made a largely unnoticed statement in the Dáil where he claimed that speculation about the Budget was impacting on consumer confidence. Varadkar told the Dáil said that the sharp fall in consumer sentiment in September was “probably due to Ministers and others talking about child benefits, property taxes and all sorts of things”. His comments were described as a “startling admission” by Fianna Fáil’s Willie O’Dea but they have done little to quell the talk of what sort of measures the government may impose on 5 December as part of its planned €3.5 billion budget adjustment. The uncertainty over the property tax, a potentially new Universal Social Charge rate for high earners, and cuts to child benefit have all been mooted in recent weeks and – if the index is to be believed – consumers are worried about how much worse off they will be financially after 5 December. While that may be the case it has not stopped details of potential budget measures coming out of government circles and retailers are among the many who are affected by the ‘fear factor’ of the ordinary punters. Retail Excellence Ireland figures for the third quarter of this year show a year-on-year drop in sales of on average just over 1 per cent, with big falls in spending in IT and computing and in garden centres as the Budget looms. Patrick McCormack, the managing director of the Sam McCauley chain of chemists, says that his sales this year have been impacted. Takings this year are down on previous years in the region of 10 per cent, he says and he is in no doubt as to where the blame for this lies. “There is absolutely no doubt that we have seen an impact in our business,” he says. “What seems to happen is that from late July, early August all the speculation starts in the press about what’s going to happen in the budget. That tends to instil a sense of fear within the consumer and as a result of that the consumer pulls back big time in terms of what they’re spending. McCormack says that discretionary expenditure on ‘non-medical products’ – which accounts for about 50 per cent of his business – is impacted by people tightening the purse strings in anticipation of the Budget, a feeling that is echoed across the sector according to Retail Ireland, the representative body for the entire retail sector. It says that consumers are less likely to spend in the run-up to December if they don’t know what their finances are going to be like when new budget measures kick in on 1 January. “Nobody is going to buy a major piece of furniture or invest heavily in their home if they aren’t sure what their private, household finances are going to be like in the next year,” argues director Stephen Lynam. He points to the big fall in the KBC/ERSI consumer sentiment index in September. The index – which measures how consumers feel about the state of the economy – had reached a five year high of 70 in August before falling dramatically to just over 60 in September. There was a slight recovery in October but for Lynam there is no doubt as to the reason for the big fall in the first place. “The huge fall in September coincided with the return of the new political season and the speculation both inside and outside government about what the budget would contain,” he says. He says that Retail Ireland has asked the government to minimise speculation while at the same time making “as clear as possible, as soon as possible what their plans are”. There are also some calls for the government to move the Budget to a different time of the year. McCormack believes that even holding it at the beginning of November, instead of December, would improve things for retailers. He says: “I think that to announce the budget at the beginning of the busiest month of the year in terms of retailers, restaurants, pubs etcetera is the wrong time. If you do it a month earlier, obviously the speculation is going to start a bit sooner, but certainly then at least it frees up the month of November and December so as people feel some level of comfort in terms of spending money. All that said, retailers should be buoyed by news this week that Irish consumers love spending money at Christmas time according to a Deloitte survey which identified people in Ireland as the highest spenders in Europe during the festive period, splurging on average €965.80. He and other retail associations would prefer a budget held in the earlier part of the year when we would be “at the lowest ebb of the economic cycle” according to Fitzsimons who says it would make “inherent sense for everyone”. In fact a Department of Finance spokesperson pointed out that a December budget ensures certainty from 1 January 2013 on how much a person is going to be taxed and how any benefits they receive will be impacted in the calendar year ahead. The tradition of holding the Budget in April was scrapped in 2001 by then finance minister Charlie McCreevy and the government currently has no plans at present to move the Budget to a different time of the year. But it pointed out that it is already reforming delivery of the Budget process through the publication of the Comprehensive Review of Expenditure, which sets out expenditure ceilings for each Department and costed fiscal adjustment measures. It also points to the the establishment of the Fiscal Advisory Council and the publication of the Medium Term Fiscal Statement which it says will be updated shortly. So December budgets are here to stay despite the protests of the retail industry. Email “Budget 2013: As speculation mounts, retailers say their business is suffering ”. 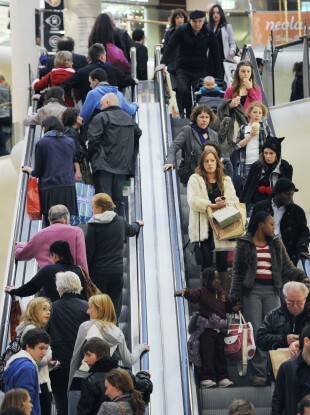 Feedback on “Budget 2013: As speculation mounts, retailers say their business is suffering ”.